윤선생 학원에서 컴퓨터 프로그래밍 기술, 네트워크, 데이타 베이스, 모바일 기술, 컴퓨터 그래픽 등 다양한 전문 기술을 배울수 있습니다. 일반 전문가들을 위한 반과, 자격증 취득반, 취업준비반 등 전문 기술 교육 뿐만 아니라, 성인 초급, 중급, 고급반과 같은 일반 컴퓨터 교육과정도 있습니다. Advanced programming technology makes formal training a requirement for computer programmers. Computer programming programs offer a foundation in computer science, networking and systems technology, as well as applied training in the current programming languages. Programmers also learn to use programmer environments, applications that increase productivity by combining discrete programming functions (compiling, code walk-through, test data generation and debugging). Courses in programming languages focus on the most popular coding conventions for different purposes. Python and C, C++, C#, Java are versatile languages in heavy use today. Web programmers use Java, HTML, PHP, ASP and JSP. 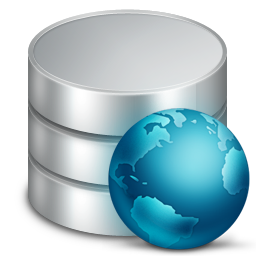 Database programmers will find Structured Query Language (SQL) training indispensable. Sample course titles: Algorithm, Data Structures in C++, XML Programming, J2EE Application Development. Students learn the design of user interfaces, user experience and usability of mobile solutions. 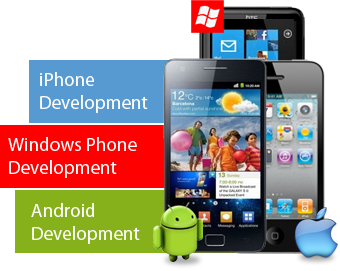 They engage in cross-platform, mobile web and native application development. Students effectively design mobile website interfaces that work across multiple platforms and devices. They also learn to build native applications for mobile devices, such as smartphones and tablets. Emphasis is placed on a hands-on approach to developing sites and applications. Real-world applications and solutions are created with a variety of technologies and programming languages. Diverse topics, such as user experience design, web security, online mobile marketing, user interface design and native smartphone application development with the latest standard web technologies are examined. Organizations today require a stable and secure database for their business solutions. This program is targeted to individuals with basic operating system knowledge seeking to build their skill set in the areas of database design and development, support and testing, and troubleshooting. This course introduces students to relational database design and SQL (Structured Query Language) used with relational databases. Students will be introduced to a history of database management covering hierarchical, network, relational and object oriented models with a focus on the relational model and its operators. Students will be presented with a methodology for relational database design using Entity Relationship Diagrams and normalization of data. This course is associated with the capability to design, implement and evaluate identification systems, data capture systems and communications networks and their associated security protocols within a business environment. Expect to get a clear understanding of data communications and associated security techniques that should be used within a network environment. Many of the issues concerning security relate to systems and devices in which failures in protection can endanger human life, the safety and viability of industrial and commercial systems, the safety of the environment, undermine public confidence and fuel criminal activity. Combating fraud and malice, together with the requirements for handling errors and mischance, are core objectives in the development of secure network and communication systems.